It you want to burn some time on a cold winter evening (or in the daytime–just don’t tell the boss), have fun with this online flash shooting game from Birchwood Casey. It’s easy — just aim the crosshairs at the ten-ring when each bull pops up. Warning: This game is loud, so you may want to turn down your sound levels before starting. 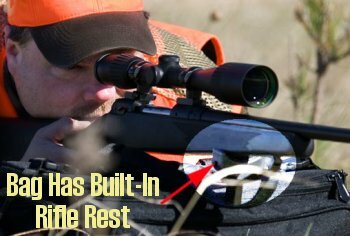 Share the post "FREE Flash-Based Shooting Game"
Here is an interesting product, currently on sale as a $19.99 “December Special” at Midsouth Shooters Supply. 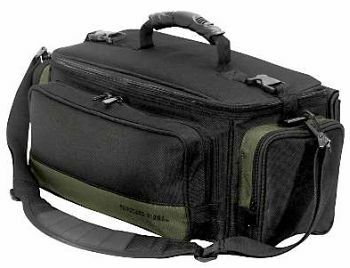 The Shooters Ridge Varminter Shooting Bag is a roomy gear bag fitted with a built-in rifle rest that retracts into the front pocket. The bag is built of rugged 1200-denier nylon, PVC-coated for rain resistance. It is big enough to hold ammo, muffs, binoculars, compact spotting scope and more. The bag also includes a padded shoulder strap. To further sweeten the deal, Shooter’s Ridge is currently offering a FREE $24.99 Multi-tool, if you purchase $30.00 or more of Shooter’s Ridge Products. Share the post "Handy Bag for Walk-Around Varminter"